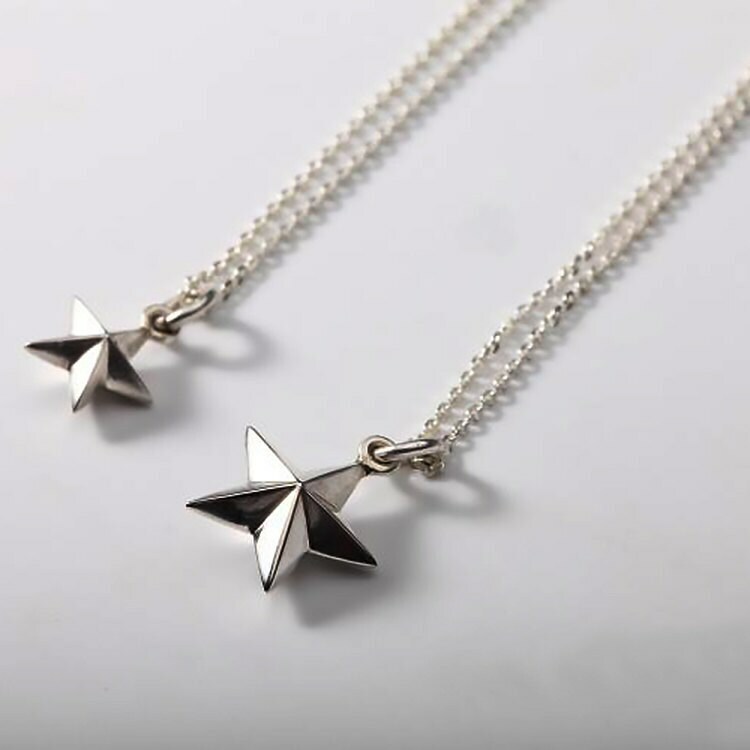 Silver star necklace - with tiny silver stars, ideal for days when you feel lucky! 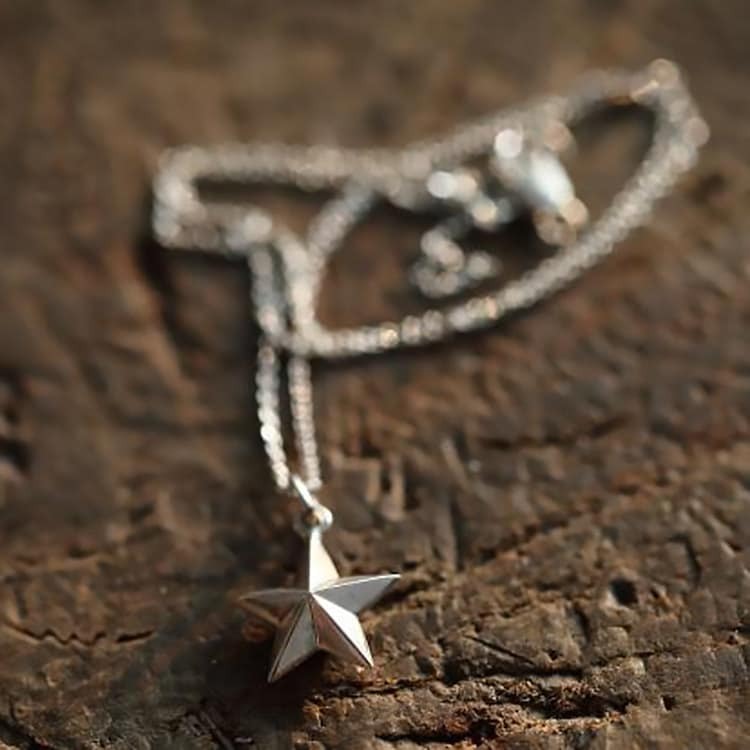 The tiny star necklace has just one star - the tiny star pendant (pun intended). The thin silver chain is very light, very thin, very unobtrusive - it is there just to play a supporting role! (another pun). 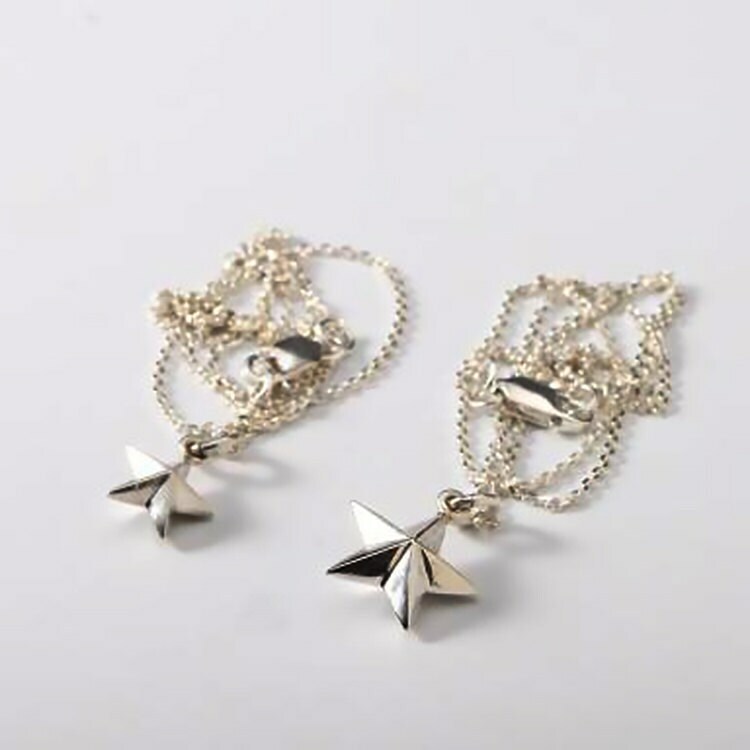 The silver stars are available in two sizes - small and tiny. 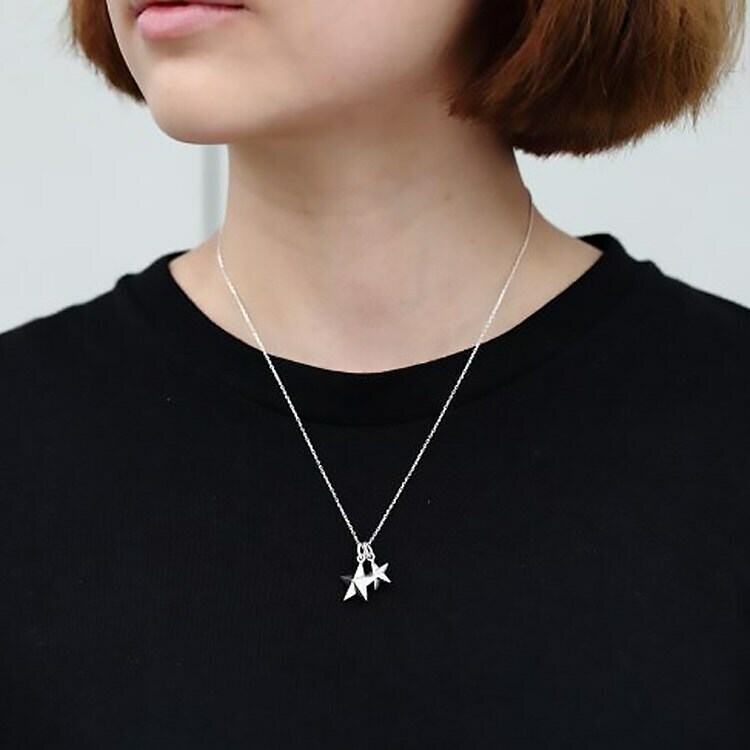 Please see the model image for reference - she is wearing both the star pendants, so you will get a better idea. 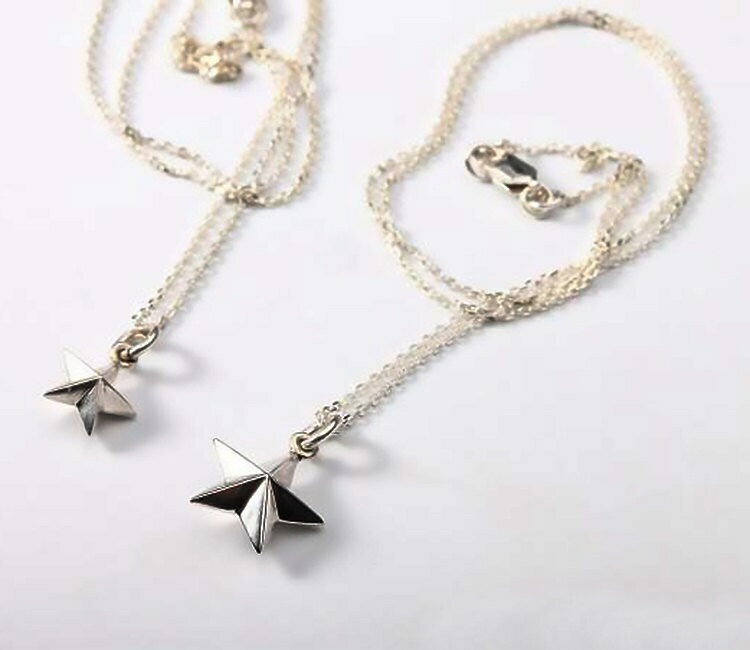 Necklace Length Options: 40cm/15.7inch, 45cm/17.7inch. Beautiful piece.... as well as a fun necklace to wear!